Define the key question of preparing visual aids. 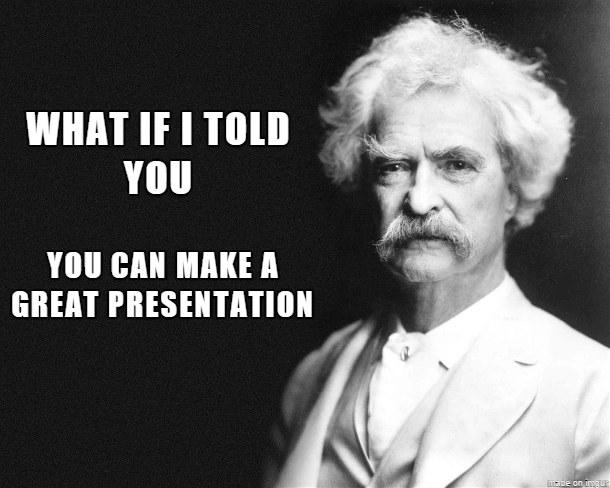 Outline the 10 commandments of a power point presentation. Emergency Medicine Physicians interested in enhancing their audiovisual materials for teaching, administrative or research presentations. Does the visual aid improve your talk? Remember the audience is there to hear what you have to say, not read off your slides. The audience can read your slides at home if they want. It is very tempting to put all the information on your slides. Slides should only contain the key points you want the audience to remember. We have all seen busy slides with all (and then some) of the material the speaker is attempting to convey. In these cases each slide is treated as if it was a page from a book. The presenter attempted to maximize the AV material by packing it all in there i.e. the 10 pounds of material in a 5 pound bag. When in truth you are unable to see it even from the front row. Overuse of presentation technology can obscure your message. In other words avoid the temptation of power point software. Use animation and other special effects sparingly as too many effects distract form your message. For emphasis considering a change in font color, bolding or shadowing any of the above fonts but avoid using ALL CAPITAL LETTERS (AS ALL CAPITAL LETTERS CAN BE DIFFICULT TO READ AND MISPERSERVED AS SHOUTING) or underling. Thinking of using Red for emphasis? Think again. Review with a friend – find someone you trust to give you unbridled constructive criticism and have them hear your presentation, look at your slides, and review your handout . While preparing a presentation ask yourself does this improve it? @DLeigh0029 @cabreraERDR @MayoClinicEM @jimcollettimd according to Batman, Bulls are colorblind. otherwise, great tips! Great presentation tips. Post lunch a white background keeps room bright n awakening or else black is conserving electricity.